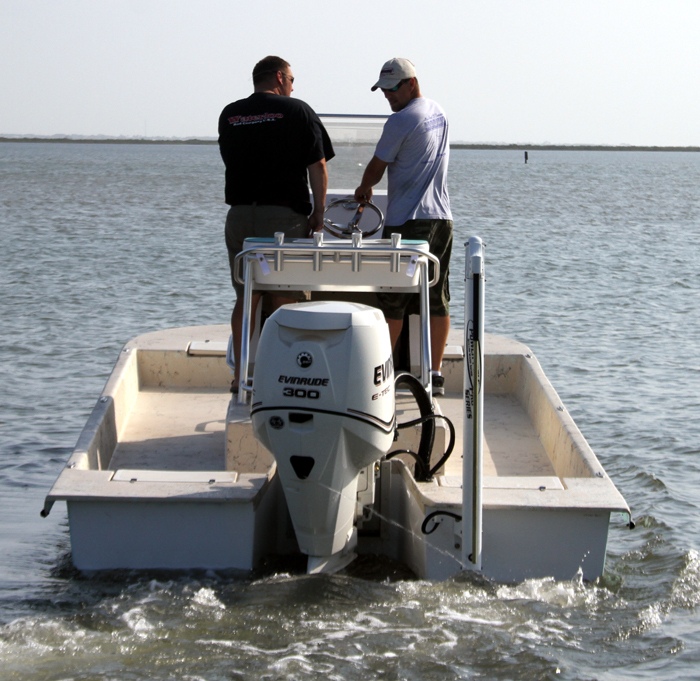 "The Shallow Water / Big Bay Fishing Boat"
Our 4th generation ultra shallow water running boat with the smoothest driest ride available. Test ride the 240SVT or 220SVT and see for yourself. Wide beam makes shallow draft and unmatched stability. Two large forward and two aft storage compartments. bow storage, aluminum tandem trailer with torsion axles. LOA 22 ft. 5 in. 24 ft. 2 in. Standard Fuel Cell 50 gal.